Brigadier (Retired) Roderick (Rod) John Scott West has in excess of 30 years of service to the Nation as a leader, a manager, a trainer, a human resource specialist and a policy formulator. 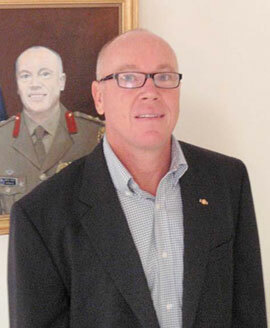 In a 34 year military career, Rod rose from a private soldier to a Brigadier (1 Star Officer) commanding men and women from small groups of 10 through to joint and international formations of up to 3000 personnel including in operational theatres from Cambodia, Bougainville and East Timor through to Kuwait and Iraq. His last appointment in the military was as the Military Attaché at the Australian Embassy in Washington DC providing strategic level diplomacy for the military to military relationship between Australia and the United States. Rod retired from the Regular Army on 1 March 2011. He was awarded a Conspicuous Service Cross and the United States Legion of Merit for his service. Rod has successfully directed and managed engineering, organisational re-structures, tender submissions and financial programs with budgets up to $35 million. He was the Program Director for the Federal inter-agency AACAP environmental health program, the Hardened and Networked Army Program, the East Timor Defence Training Centre Project, Defence Cooperation Program (DCP) infrastructure and training programs across the Pacific as well as commanding the humanitarian response to the 1998 tsunami in PNG. He is currently consulting to Rheinmetall Defence. Rod has extensive experience as an instructor, training manager and staff developer. He is currently the CEO of Risk Reduction Services Australia and a Director on the Board of MICEBS Pty Limited. "By being small and agile, we can deliver big results to improve your training, human capital and safety needs. "